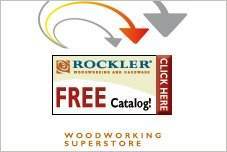 Build a bench swing for your deck, balcony, veranda or porch with free porch swing plans. 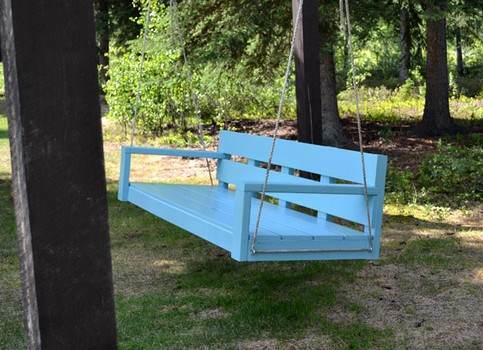 You can even build an a-frame that will take your swing to the yard or garden for a back-to-nature seat that everyone will love. 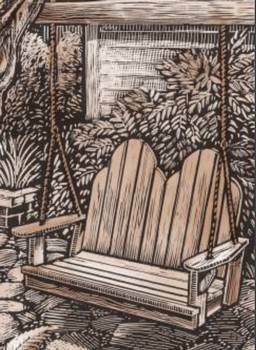 Porch swing plans can be a simple bench with slat back or a comfortable Adirondack chair model that is great for lounging on a sleepy, summer afternoon. 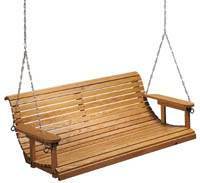 Stylish teak or redwood gives your swing a decorator look without breaking the budget when you build it yourself. Use brilliant paints to add a colorful touch to your porch or choose exterior stain and waterproofing to add a durable coating to protect your swing. Many plans are easy to build and come with tips and techniques to make this a great weekend project for anyone. Plans for a porch swing build out of pine and with a taller than average back support for added comfort. 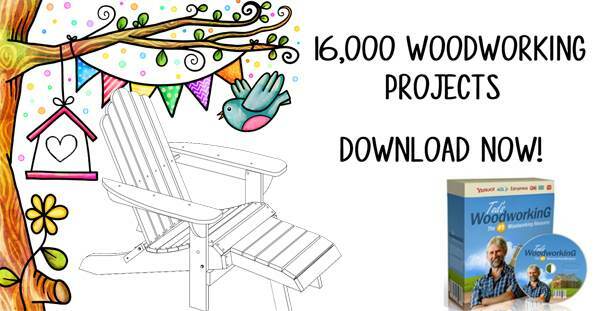 You can easily build this porch swing using this step by step porch swing plan with pictures that illustrate each step. 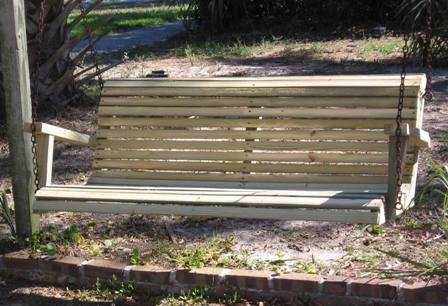 With just a little bit of skill and tools you can easily build this sturdy, weather protected porch swing. 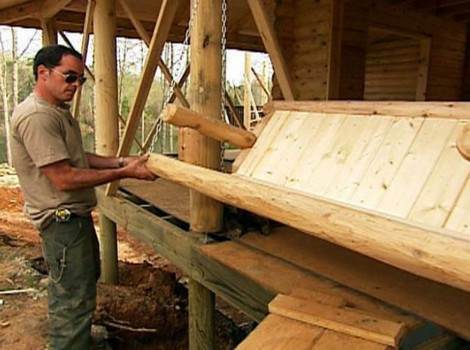 Build this handsome and rustic porch swing from tongue and groove lumber for your cabin or home. This stylish porch swing has a deeper and wider sitting area and is attractive enough to hang indoors or outdoors. 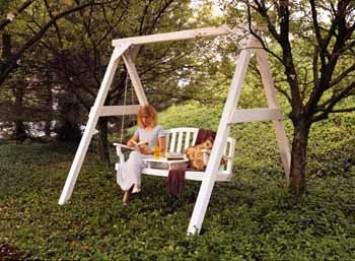 Instructions for building a garden swing with A-frame support and a convenient table top that is easy to fold away when not in use. 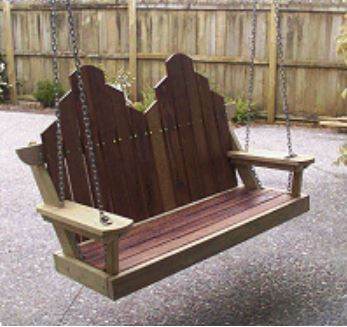 Plans for an attractive porch swing that can be built over a weekend and hung for your family's outdoor leisure. 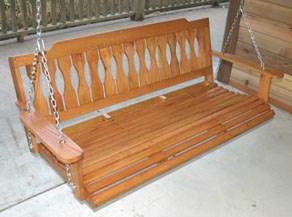 This good looking Adirondack porch swing is built out of redwood and has a tall back built from slats. 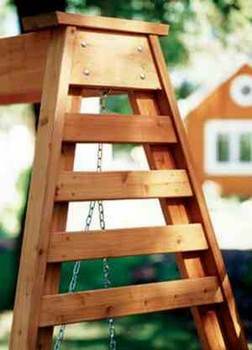 Build a porch swing or if there is no where to support a porch swing build this garden swing with A-frame.